5 Upcycled Furniture Projects to Help You Go Green This Month! If you know a little something about the team over here at Spoonflower, then you probably know we sure do love a good furniture DIY project! We especially love a project that gives a piece of furniture once considered prime-for-the-dumpster a new life with a little tender loving DIY care! Today on the blog, we’re showcasing five of our favorite furniture upcycling projects from around the web. Barb Blair, author of Furniture Makes the Room and Furniture Makeovers: Simple Techniques for Transforming Furniture with Paint, Stains, Paper, Stencils, and More could easily be considered the “Queen of Refurbishing” in our eyes. Whether she’s using Spoonflower wallpaper to turn a drab dresser into the dresser of your dreams, or working her magic with a bucket of milk paint, Barb has taken upcycling to the next level. For Amanda of ferpie and fray who loves to “design old pieces of furniture from the inside out and watch them come to life through my addiction to painting nearly everything!”, working on a new refurbished furniture project is the perfect way to spend a Saturday afternoon. 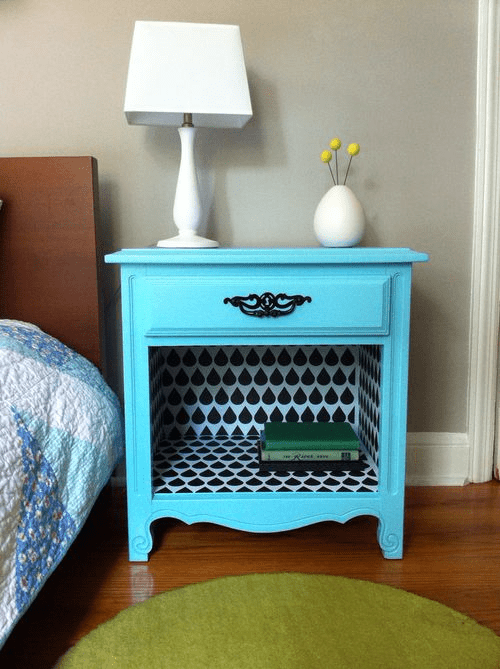 With the help of a fresh coat of milk paint, updated hardware, and Spoonflower wallpaper, a chipped and broken buffet table gets rescued from the dumpster! 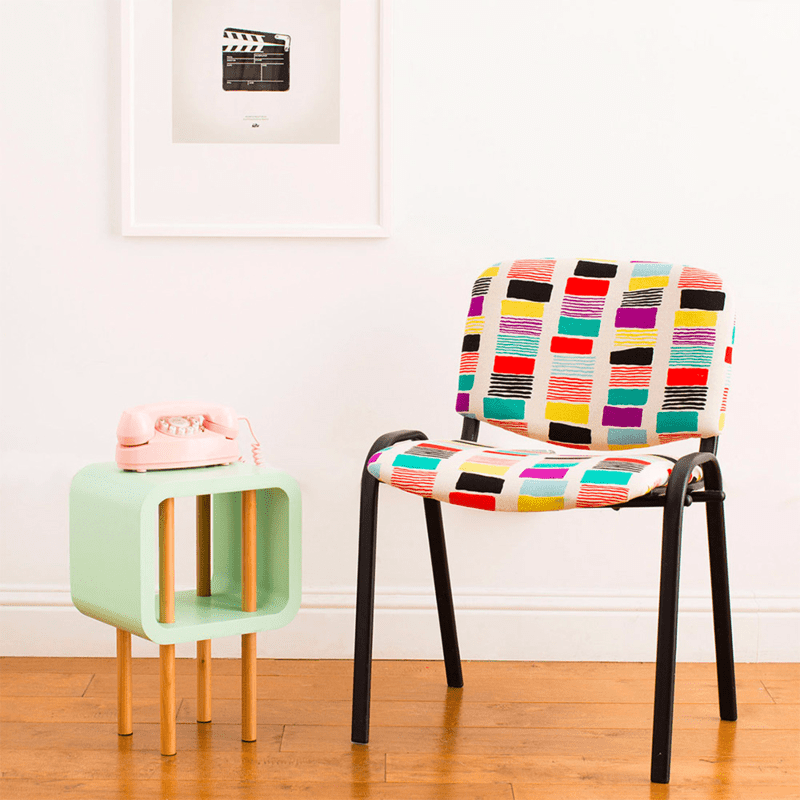 If you’re looking for an upcycling project but milk paint isn’t up your alley or space is an issue, this Brit+Co tutorial takes a thrift shop chair and adds a pop of personality with the help of bright fabrics! 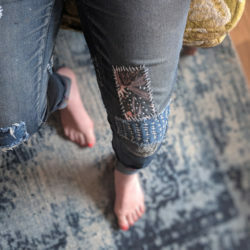 Spoonflower’s Faux Suede or Eco Canvas, our two true upholstery weight fabrics, are the perfect addition for this thrifty, budget friendly project. 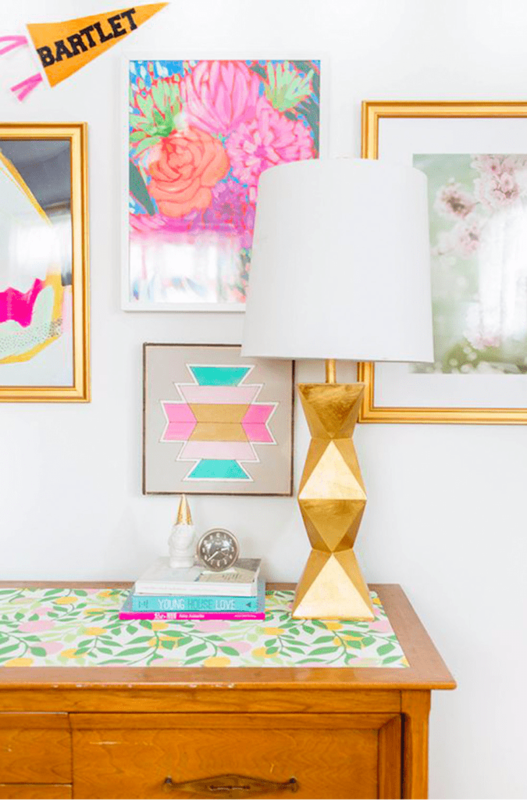 If you’ve been wanting to update the dresser in your room for years but aren’t ready to commit to a complete DIY overhaul, why not follow Carrie Walker’s lead with a mini-makeover?! 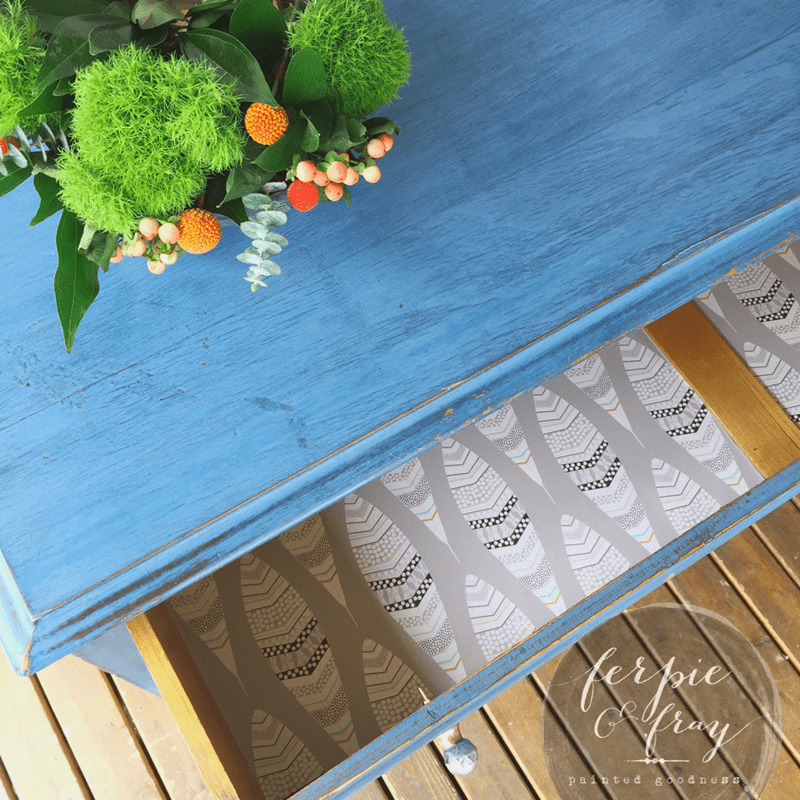 Using Spoonflower’s woven wallpaper in Spring by This Little Street, Carrie covered just the top portion of her dresser, instantly bringing springtime indoors! A $10 thrift store find gets a new look with a little bit of TLC, Peel & Stick Woven Wallpaper, and a fresh coat of paint! 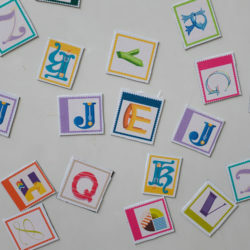 We love this beginner project created by Caitlin of Salty Oat! We hope you’re inspired to get out there and transform the furniture piece that’s been on your project list for years! And with Earth Day just around the corner (April 22nd! 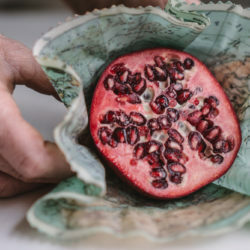 ), we’d love to know what upcycling projects you’re working on this month! Comment below or add #sustainableSF to the project photos you’re sharing on social media. Fabulous! 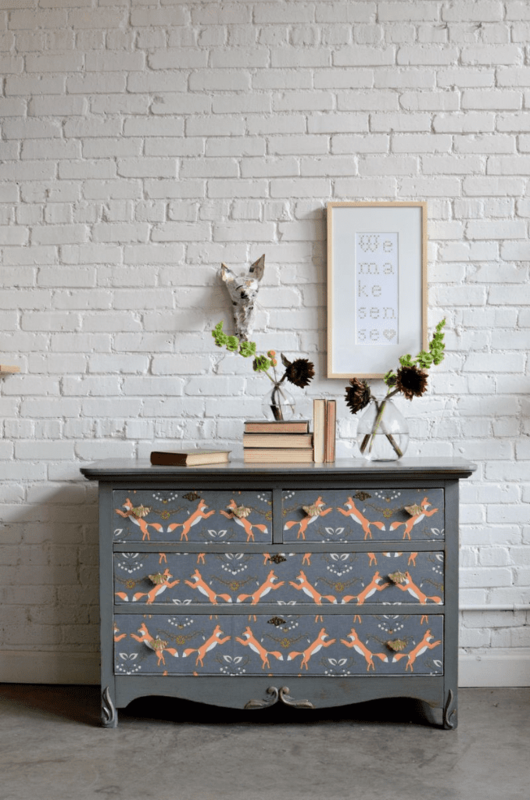 I particularly love the Foxy chest of drawers and the Spring wallpapered chest of drawers!